Egypt Carbon Holdings, a privately-owned company, is working with several national export credit agencies to expand the financing of its Tahrir Petrochemical project including the world largest naphtha cracker to be installed at Ain Sokhna at the entry of the Suez Channel in Egypt. Originally estimated to cost $3.7 billion capital expenditure, Carbon Holdings is now building financing plan for $4.8 billion investment. As long as Egypt was running short of oil and gas and had to import these resources, any investment on the downstream activities was a challenge. But since major companies such as BP or Shell are successfully developing the exploration and production of the oil and gas fields onshore and offshore around the Nile Delta, Egypt may consider to benefit soon from sustainable feedstock to supply large petrochemical complex. Considering that for each $ billion invested in downstream activities creates four times more employment than upstream, the Egypt Government is highly motivated to support all private initiatives such as the Tahrir Petrochemical complex. While in discussion with the Export-Import Bank of USA (US Exim), Carbon Holdings signed a $500 million agreement with GE to provide equity financing and technology for the Tahrir naphtha cracker. On the financing side, GE commitment gives credit to Carbon Holdings to complete its financing set up. 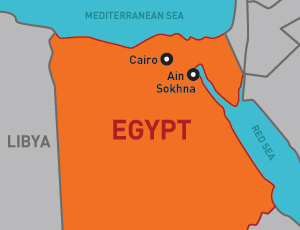 Overall, the Ain Sokhna Carbon Holdings cracker should have a capacity of 3.5 million tonnes per year (t/y) of naphtha. The power plant will produce 300MW through a combined-cycle gas turbines generation. The integrated water treatment plant will have a capacity of 3,800 cubic meter per hour (cm/h) and will use ultra-filtration and reverse osmosis GE proprietary process. Linde will provide its own licence for the naphtha cracker. In parallel Carbon Holdings selected Univation Technologies Unipol, Prodigy and Xcat from Dow Chemical for the production of polyethylene and the bimodal production of HDPE/LLDPE. 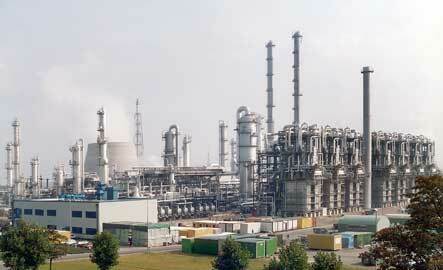 While Foster Wheeler has been appointed as the project management consultant (PMC), Linde will lead the engineering, procurement and construction (EPC) of the Tahrir Petrochemical complex. In his EPC task, Linde will be supported by SK Engineering and Construction (SKEC) from South Korea and Petrofac from UK. In this context, Carbon Holdings expects to complete the financing of its Tahrir Petrochemical project with the support of the Export-Import Bank of Korea (Kexim). Today, Ohio Payday Loans are legitimate, but there are illegal transactions that are still on the rise. If you have already decided to take Buy Generic Levitra, be sure to consult a doctor, you don't have any contraindications and act strictly due to a prescription.